Dalian ELFA Qingyun Linhai Preschool is located within the Qingyun Linhai Estate in Jiefang Road, Zhongshan District of Dalian. It covers a land area of 2400 square metres with 1500 square metres of total floor area. It is situated near two of Dalian’s major traffic arteries, the Jiefang Road and the Zhongnan Road. The Qingyun Linhai Estate is embosomed by hills with charming enviroment and fresh air. 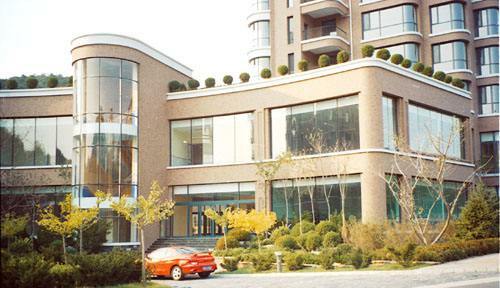 It is a natural oasis within the city centre and rated as one of Dalian’s Eco-Green Estates. The classic European design style of the ELFA Preschool and its high-grade facilities create a cozy and cordial environment for the children. The campus has integrated classrooms, dance studios, creative art rooms, children music rooms, blocks “n” building play rooms and multi-function classrooms. The top-grade playing facilities are also safe and enviroment-friendly. Dalian ELFA Qingyun Linhai Preschool offers 8 classes in nursery, junior, middle and senior pre-school levels and ELFA 0-3 Fun Child Early Childhood classes. The campus opens in late April 2017 after passing the fire safety inspection.